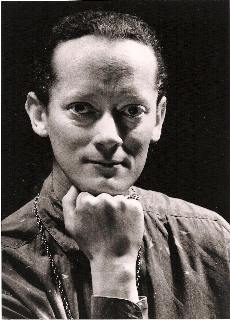 John Vergin was raised in nearby Washington State and came to Portland in 1974 to attend Reed College. His focus at Reed was music and theatre, and the skills he honed and the contacts he made at that time have served to sustain a life in those disciplines ever since. A bass-baritone, Vergin deeply enjoys classical song literature, Schubert and Faure in particular, and also has an affinity for early music, including the works of Purcell, Dowland, Campion, and the early Italians. As an oratorio soloist he has performed the Requiems of Brahms, Faure, Durufle, and Mozart; the St. John and St. Matthew Passions of Bach, and many a Handel's Messiah. He has frequently been a soloist with the Choral Arts Ensemble, Bravo Vancouver, Cappella Romana, and the Portland Baroque Orchestra. Vergin's range of interests have been well realized in the theatrical realm, where he has found work as music director, composer, and actor. His original music for Classic Greek Theatre of Oregon has been award winning, as have been his performances of the principle baritone roles of Gilbert and Sullivan, mostly with Mock's Crest Productions. His composing has centered mainly on vocal music, both solo and choral. He has written songs on the poetry of Poe, Neruda, Clare, and Shakespeare. His choral works have been performed by Portland groups Choral Cross-Ties, Choral Arts Ensemble, Cappella Romana, Cantores in Ecclesia, and In Mulieribus. Vergin is accompanist and continuo player for Portland's Bach Cantata Choir, organist at St. Rose of Lima church, and singer/assistant organist at Holy Rosary church. He teaches singing privately at home, and has been a singing teacher and coach at Reed since 1995.